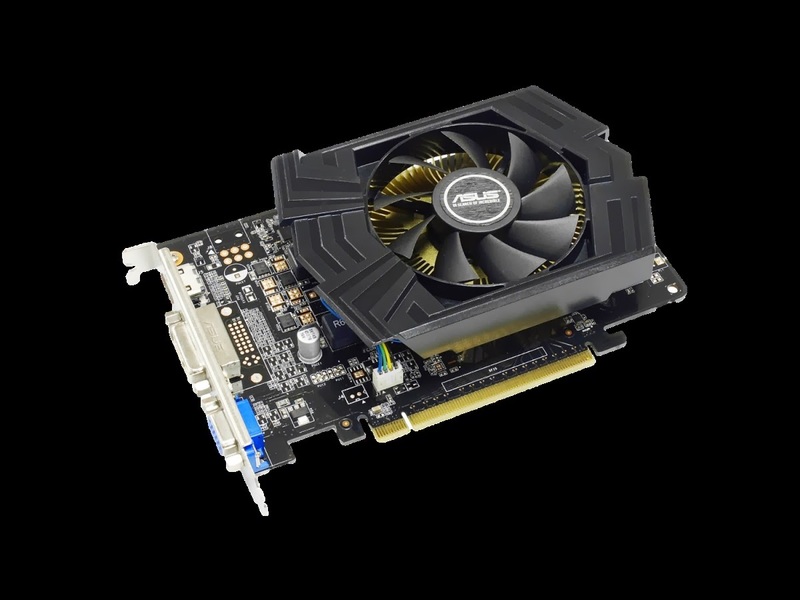 The new GTX 750 Ti and GTX 750 cards benefit from many exclusive ASUS technologies and tools including dust-proof fans for improved card lifespan and Super Alloy Power components for superior stability. 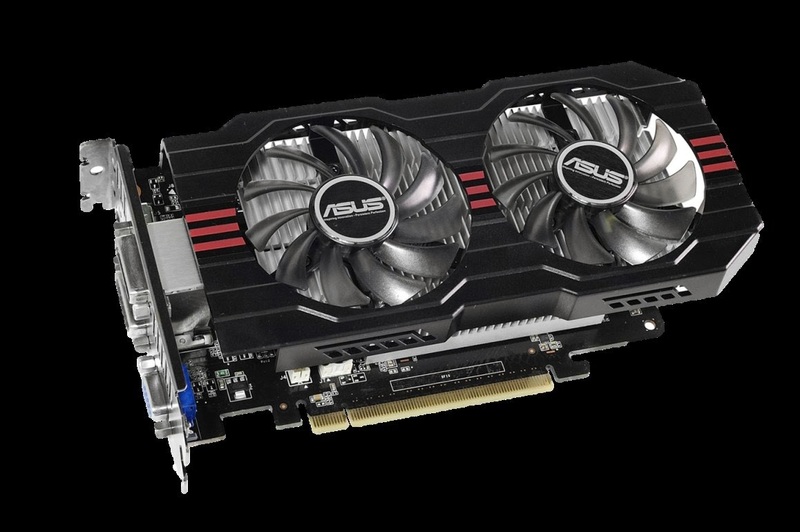 As ASUS announced GTX 750 Ti and GTX 750, two new high-value 3D-gaming graphics cards equipped respectively with the powerful GeForce GTX 750 Ti and GTX 750 graphics-processing units (GPUs) and overclocked for performance that’s up to 52MHz faster than reference. They also include GPU Tweak, an easy-to-use tuning software that helps users to squeeze every last drop of performance out of their graphics card and stream on-screen action over the internet in real time — great for boasting rights. GTX 750 has a 1059MHz overclocked base clock that runs as fast as 1137MHz when boosted, while the GTX 750 Ti flies along with a 1072MHz overclocked base clock that ratchets all the way up to 1150 MHz when boosted — so the latest 3D games can be enjoyed at very high detail levels of up to 2560 x 1600 pixels with no slowdown. Both GTX 750 Ti and GTX 750 benefit from a unique fan design and layout that dissipates heat efficiently while offering highly-effective resistance to the intake of dust and other particulates. GTX 750 has one of these dust-proof fans, while GTX 750 Ti is cooled by two — extending both cards’ lifespan by up to 25% compared to reference designs. GTX 750 Ti’s dual dust-proof fans improve airflow by up to two times (2X) compared to the reference design, for even better cooling. The new cards also feature exclusive ASUS Super Alloy Power components. Super Alloy Power’s concrete-core chokes and hardened MOSFETs withstand much greater stress and heat thanks to the application of specially-formulated materials, while minimized power loss, enhanced durability and cooler operation ensure that GTX 750 Ti and GTX 750’s components last much longer than references — up to two-and-a-half (2.5X) times longer, in fact. 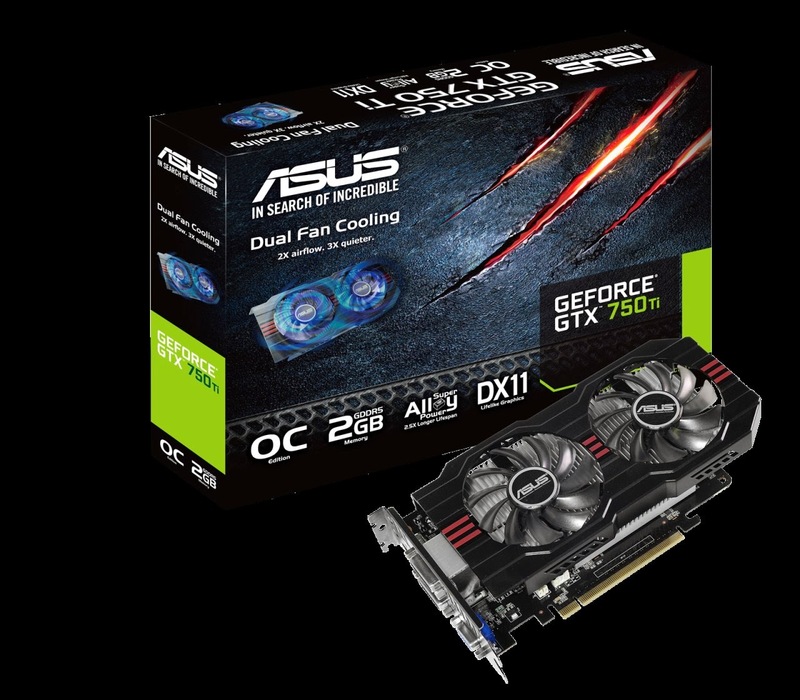 GTX 750 Ti and GTX 750 are supplied with GPU Tweak, an exclusive ASUS tool that helps users to push the cards’ GPUs to their limits — easily and safely. The utility includes the ability to control finely GPU and video-memory clock speeds and voltages, cooling-fan speeds and power-consumption thresholds in real time, all via an intuitive interface. As well, the GPU Tweak Streaming tool lets users share on-screen action over the internet in real time, so others can watch live as games are played. It’s even possible to add a title to the streaming window along with scrolling text, pictures and webcam images. GTX 750 Ti and GTX 750 offer support for the latest DirectX® 11.2 standard (up to API feature level 11_0), which allows on-GPU tessellation that delivers more and incredibly detailed geometry to be packed into every game scene — characters come to life with detail levels that rival blockbuster movies. rippling water and debris that reacts just as it would in the real world. GTX 750 Ti and GTX 750 Philippines Price. 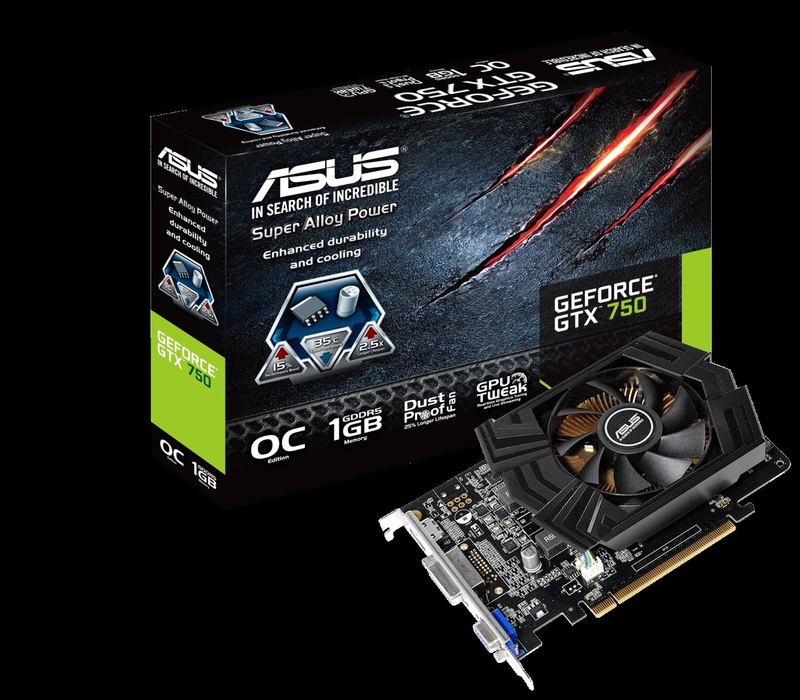 Tags: ASUS GTX 750 Ti tweaks overlocking, ASUS GTX 750 Ti on promo sale, ASUS GTX 750 Ti trick to overlock, ASUS GTX 750 Ti error fix, ASUS GTX 750 Ti US promo price, ASUS GTX 750 tweaks overlocking, ASUS GTX 750 on promo sale, ASUS GTX 750 trick to overlock, ASUS GTX 750 error fix, ASUS GTX 750 US promo price, GTX 750 Ti GTX 750 blackscreen, GTX 750 Ti GTX 750 windows 8.1, 8, 7 compatibility, GTX 750 Ti GTX 750tips and tricks.